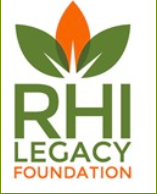 In 2015, the RHI Legacy Foundation generously partnered with Second Harvest Food Bank of Metrolina to provide 405 backpacks of food monthly. The remainder of the bags are provided by local faith communities, grant funding, and donations from local businesses and individuals. 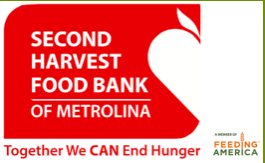 The Rutherford County Backpack Program is a partner agency of Second Harvest Food Bank of Metrolina (SHFBM). SHFBM partners and distributes food and essential grocery items to approximately 550 hunger feeding agencies in 19 counties in North and South Carolina. Agencies served include emergency pantries, soup kitchens, senior programs, shelters and low-income daycares. In the past few years, each Rutherford County school has developed their own Backpack Program, and has a school-level coordinator. They are responsible for a variety of tasks, including organizing food donations to their schools, packing bags, and distributing bags discreetly to students. Also, they coordinate local volunteers to assist in this process. Truck Service of Forest City volunteers bi-monthly transport of Second Harvest Backpacks from Charlotte to their local warehouse. The Rutherford County Schools Maintenance Department and Outreach Specialists distribute bags to each individual school.